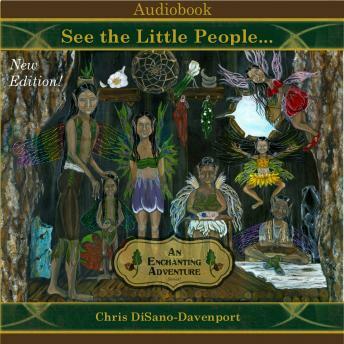 A magical tale that can be used as an introduction to natural law, "See the Little People...An Enchanting Adventure," introduces children to the realms of fairy that inspire us to use the tools we have within us to create Joy even in our darkest hour. A family of elemental spirits we call the Little People live in the hollow of a tree. Join them and their friends as they venture us through the shadows of Snagwood Thicket and the magical kingdom of nature when they encounter a human boy lost in the woods. Arthur listens to the advice of Den, the wise oak tree; while deep in the forest Korrigan nymphs believe he is the King in their fairy legend and intend to turn him into a changeling to make him one of their own. Deetkatu and his Little People family seek the help of the trolls to save Arthur as he is forced to choose a path where he must realize the awareness of who he really is and what is most important in life. The Little People and their friends hope to instill wisdom of the natural world, to show us how we are responsible for our thoughts and emotions that create our reality. "Meet the Little People...An Enchanting Adventure," takes us through the elemental kingdom while a boy gets caught in the creation of his own imagination.